Roctopus Dive is all about putting your needs first. All of our instructors are experienced, highly trained and teach in a fun and friendly way. 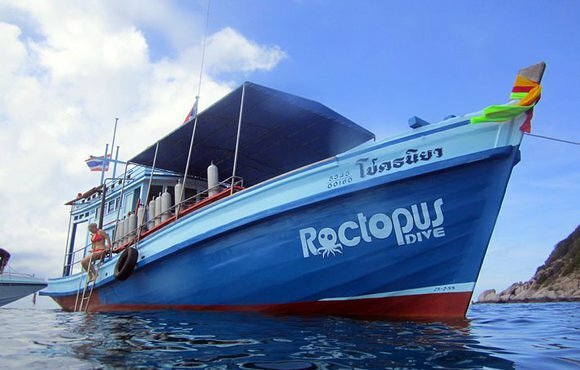 We guarantee an amazing experience for you during your stay, diving on Koh Tao. We are located only 5 minutes walk away from Sairee Beach. 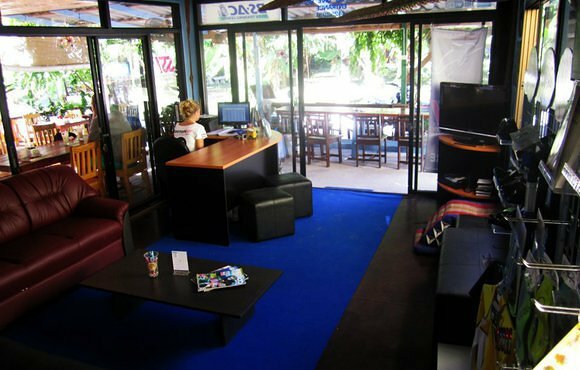 Our dive shop is in a nice quiet and relaxed area but close to all the restaurants, bars, and shops… perfect! 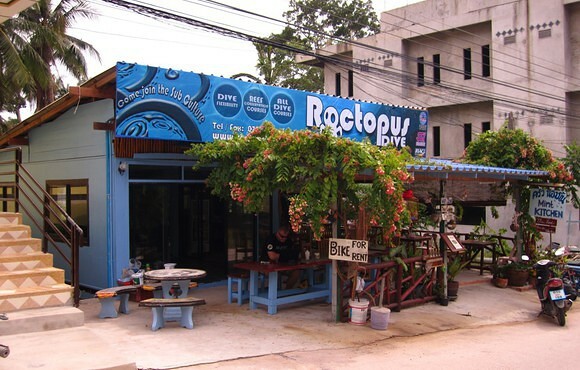 Roctopus Dive is a small and friendly dive shop. We specialise in small groups and with flexibility, we also avoid diving on busy dive sites. Over time, with the help of our amazing team of dive professionals, created an amazing environment to dive. Also take advantage of our regular Sail Rock Trips (every Sunday) and see the best dive site in the Gulf of Thailand. Located in a relaxing, quiet setting close to Sairee Beach, we are near to all the shops, restaurants, and bars. We put your needs as a fun diver first. We believe that groups should be small and dive sites should be uncrowded. Why not book a package of fun dives with us…the more you dive, the more you save! With more than 20 dive sites around Koh Tao, we will show you the best this region has to offer. 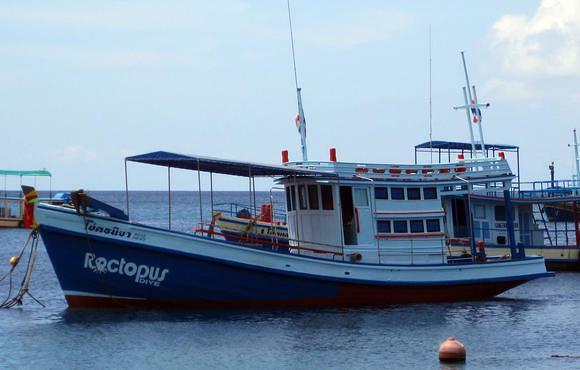 Koh Tao can be busy and there are many dive schools that have large groups. Koh Tao is one of Thailand’s best diving destinations, perfect for divers from around the world, whether they are beginners or advanced divers. The island offers an abundance of dive sites to cater to every diver’s needs, whether you are training for the first time or you are a seasoned professional. The island’s waters are calm and shallow, with hardly any currents, and the intense visibility thanks to its clear waters offers views of marine life ranging from whale sharks to tropical fish and tiny sea creatures amongst the reefs.